The country's road network has been badly damaged mostly in Manicaland province, where Tropical Cyclone Idai has ravaged Chipinge and Chimanimani districts. While the rainfall has eased this Sunday morning, most travellers are stranded and cannot travel in or out the two districts, with several bridges having been swept away. 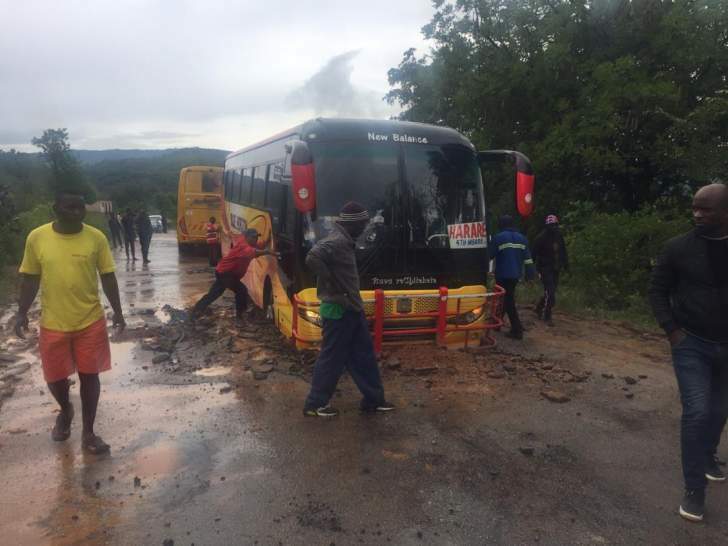 The Chipinge – Mutare road is badly damaged and several buses are stuck at Rutengenye area after the road gave in. Some locals were however cashing in on the road incident and were charging motorists who wanted to risk crossing $2. It was however evident that trying to drive through the side of road was a risky move as the ground was evidently shaking.